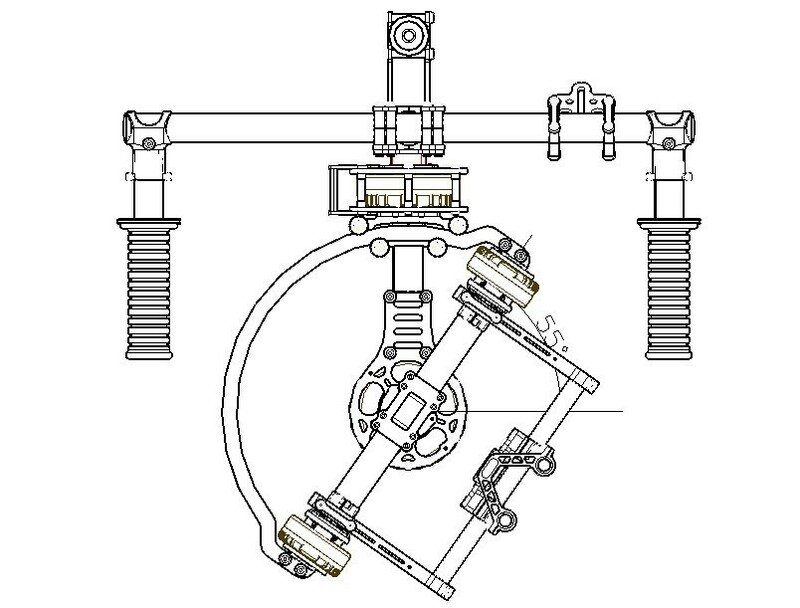 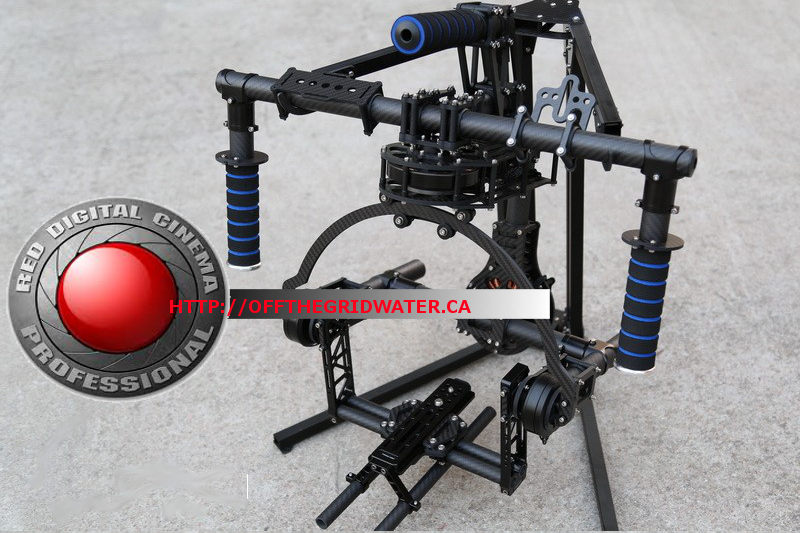 A Brushless Gimbal for your application with upgraded motors for professional use. 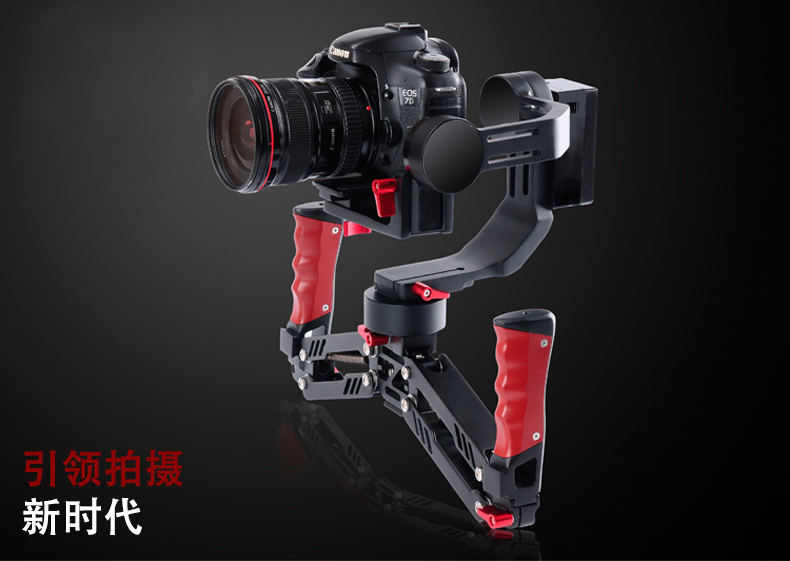 Best selling professional Gimbal will carry all professional Cinema camera, large DSLR on the market including Sony FS700. 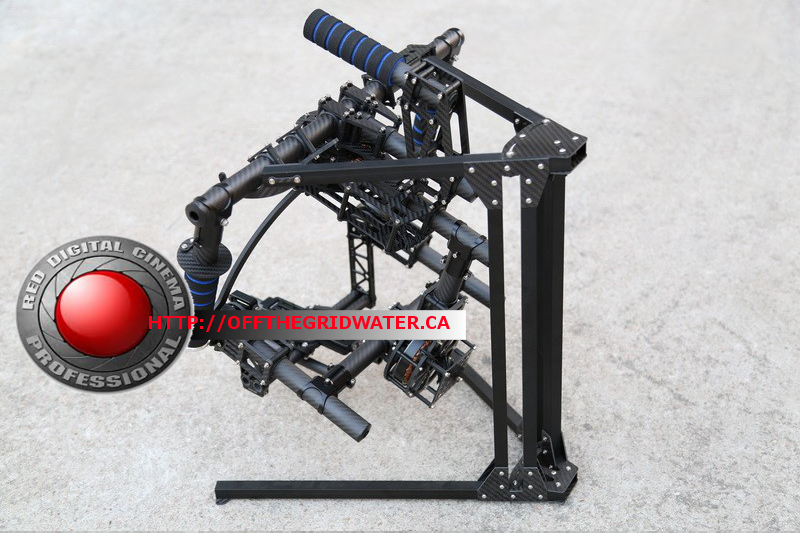 Comes with hand held and 3-axis copter landing great that will fit , with no modification needed on all the professional multi-rotors on the market. 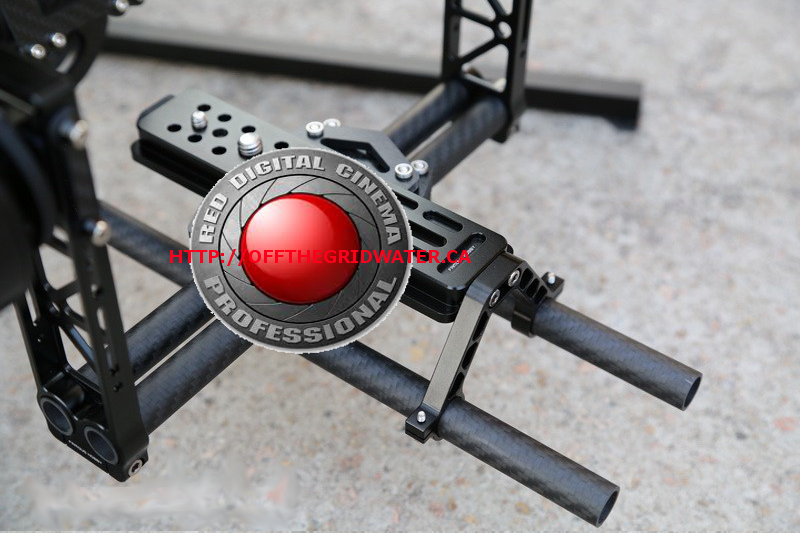 with adapter plates DJI S1000, DJI S800, CARBON CORE , DROID WORKS, HOVERFLY, CINESTAR. 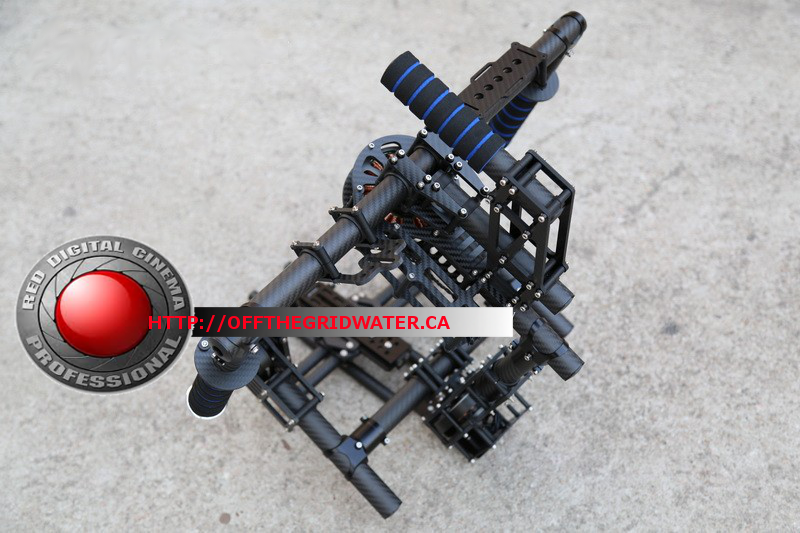 Package comes as complete kit with 32bit Alexmus controller, stand , copter 3-Axis landing gear, 2 x 3S Battery, charger. 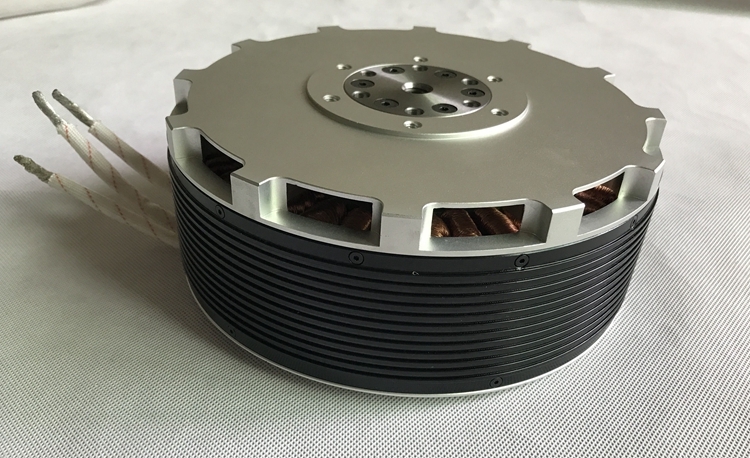 Upgrade aluminum parts are available, as well as carbon fiber replacement parts.